Although I have given various luxury scented candles, such as ones from Diptyque and Jo Malone a try, from the very moment I opened the package of Cire Trudon, I was positively surprised by the quality, the luxury and the details it provides. Thick carton box was closed with golden seals on both ends. Inside the box there are detailed instructions to use and how to get the best out of the candle. The candle with is protected by styropor placed over it too. The logo, the glass, everything is pure luxury. Maison de Trudor is notable as the oldest wax-producing factory worldwide and known by their special waxes which is made of soya and copra. The candle wicks are of pure cotton. The manufacturing process of candles are claimed to involve no heavy metals or pesticides and they are said to be entirely biodegradable. The glass is manufactured in Murano, the logo is a homage to the bees who work for the wax production. The following notes are provided by company's website. I was surprised to see that these are given in the form of a scent pyramid. When I burn the candle, the olfactory experience is composed of various layers of the notes provided, happening more or less at once. Cire Trudon Joséphine fills the room with its musky, floral and clean presence after a few minutes of being burned. It bears a certain freshness by the citrusy top notes and just a touch of faint spiciness. Her love for roses beats in the heart of the fragrance but not in a very distinct way. The roses are very much blended with the rest of the flowers to form a cyber garden in your living room. Close your eyes and enjoy the breeze as it takes the pleasant scent of newly washed clothes with it to your garden. It may appear a little soapy at times but fortunately not to the degree that you have to warn your servants to collect the laundry. All in all Joséphine is a lovely floral summer candle, which takes you to the gardens of Empress. It doesn't become heavy nor too dominant and fades away quite quickly afterwards. The quality of wax is supreme and can be seen by how homogeneous it wears away. Final thoughts: From the glass to the outside packaging, from the candle wick to the wax, Maison de Cire Trudon presents pure luxury in a traditional form. Joséphine is their youngest creation which brings the gardens of the Empress to your living room in a fresh and clean way. A lovely candle for a summer evening. Cire Trudon Joséphine sets you back 70€ ($105) and can be ordered online or at the stores listed here. To impress you even further, they also have wax busts. I am very tempted to order Napoleon to provide my Joséphine a company. 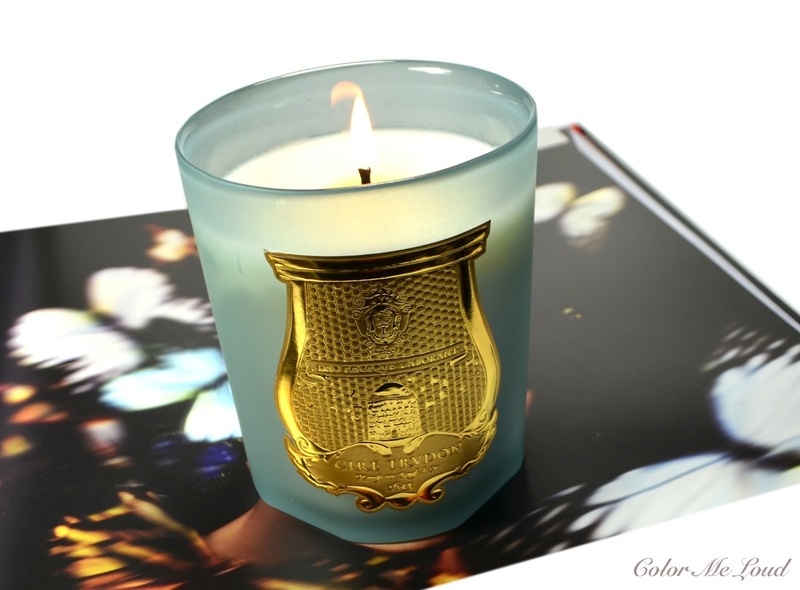 Have you tried the candles of Cire Trudon before? i just got this candle last week myself! i LOVE it. and the container is lovely!! when fall/winter comes.... you MUST try "Ernesto". it is so perfect for the cooler months. my favorite candle by a mile. the notes sound lovely! 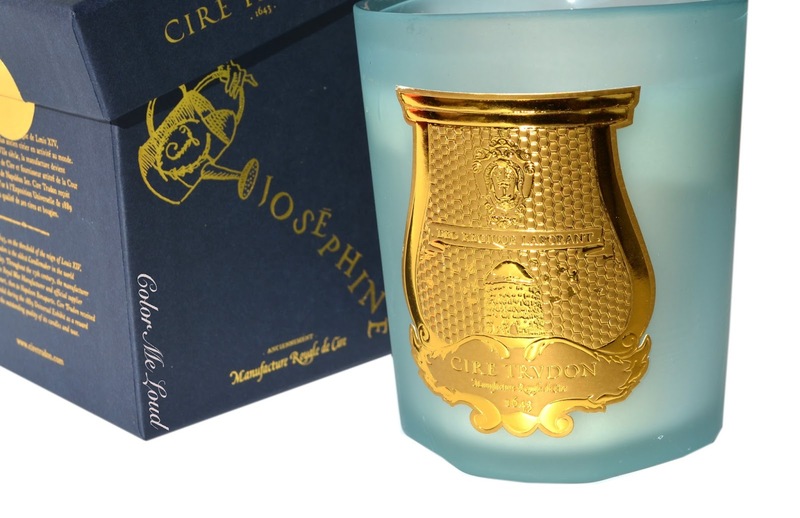 I've been wanting a cire trudon candle, and i always loved reading about josephine. The scent notes sound heavenly!! I have yet to light mine up.... cos sooo pretty!! And also because I've been having bouts of stuffed nose, so a luxurious candle would be lost on me. But yes, I've decided not to waste anymore money on Diptyque candles because their throws are simply pathetic and most of them (apart from Baies) don't burn evenly.